After more than eight years the moment has finally arrived. The guys behind ”The Glitz”, Daniel Nitsch and Andreas Henneberg, are releasing their first album together on their label ”Voltage Musique Records”. With 14 Tracks in total, the result of the last two years of common studio work can be heard. For 13 years the two musicians living in Rostock and Berlin are running the label ”Voltage Musique Records” together with Markus Hille, as well as traveling around the world with their solo projects. Due to the spacial distance between them, their time in the studio is very limited, which is a constant challenge to their productions. However, this is still considered to be ”no drama” for the boys, rather they profit from the distance through always meeting up with lots of new ideas and creativity. In other words, ”No Drama” can be seen as their attitude towards life. A north-German laid-backness meets the rascally Berlin cheeriness. And naturally, life is easier when you treat each other well. This plays an important part in a friendship of two guys with such different characters. The different influences as well as Andreas’ and Daniels’ musically diverse background are probably the most important bricks in the foundation of a very independent sound on the album. Without loosing the red thread you can find clear traces of Downbeat, Triphop, Jazz and funk next to the very club friendly tracks. Singer and electronica songwriter ”i Am Halo” from the USA, joined in on two of the tracks. Also, the vocalist from ”Parasite Single” made another guest contribution with her wonderful charismatic voice, that weaves its way into your ear alongside a groaning bassline in the song “Sugar to the milk”.. Through their skills, the German rock singer and close friend ”Stefan Krogmann”, as well as the international active pianist “Johann Blanchard” completed two further, surprisingly different sounding tracks. If you already know a “The Glitz” DJ-set you might recognize some of the songs. After all, over the last months a lot of them have been extensively tested in the clubs, and also continuously refined. 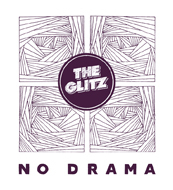 “No Drama” – a thoroughly club suitable album, that also can be excellently listened to while enjoying a cup of tea with a lacing in your grandparents living room. The Press Kit contains all Data arround the Album-Release and the following Tour. Please use only this Material. Copyright © The Glitz 2014, All rights reserved.